Edited by Andy Priestner, 288pp. Published: 14 Dec 2018. Available from: Amazon.co.uk; Amazon.com; Amazon.de. Price: £35 / $45 / €40 (plus VAT if applicable). Also available from other local Amazon sites. 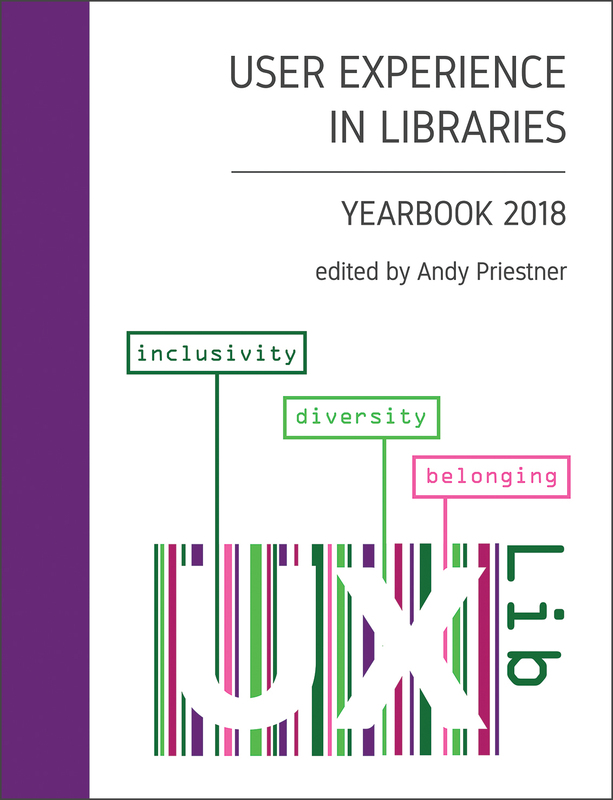 The return of the UXLibs Yearbook! See the full contents pages here. 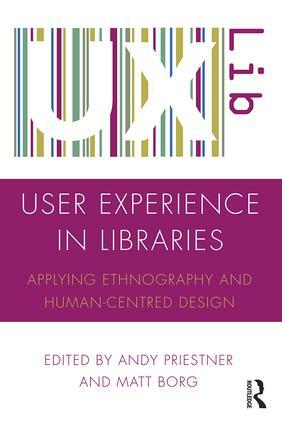 UX in Libraries (UXLibs) is a global community of practice committed to exploring, sharing and advocating for UX research and design methods in library and learning services in the academic and public sectors. 2018 saw our fourth annual international conference, held in Sheffield, which once again brought together delegates from all over the world and this year focused on inclusivity. This volume collects together contributions from our conference speakers including Sara Lerén, Christian Lauersen, Janine Bradbury and Kit Heyam, all of whom wowed attendees with their insights and perspectives. Fascinating workshop content, delegate papers and material presented under our research in progress banner (‘UXLabs’) are also collected here. If you are already applying user experience research and design or are just dipping your toe in the water, and want to find out what all the fuss is about, this second UXLibs Yearbook is the resource for you. Edited by Andy Priestner, 220pp. Published: 12 Dec 2017. Print: Amazon.co.uk; Amazon.com; Amazon.de. Price: £30 / $40 / €35 (plus VAT). Other online retailers to follow. This exciting new tome collects together all the many presentations from the 2017 UX in Libraries conference in Glasgow and offers a fascinating, informative and truly international collection of stories, case studies, insights and reflections on the practice of UX in both academic and public libraries. If you are already conducting user experience research or are just starting on that journey the comprehensive UXLibs Yearbook should prove to be an invaluable companion to your endeavours. Yearbook editor Andy Priestner reflects upon and reviews the content and idea of the volume on his blog.